A preservation easement is an interest in real property that the owner of the property transfers to a qualified organization such as Historic Denver, Inc. (or to a governmental body). To be eligible, the property must be historically designated either at the local, state or national level. An easement prohibits the demolition of the property and any modifications that will harm its historic character, and also requires that the property be maintained in good condition. Preservation easements are a powerful tool for protecting a historic property because an easement “runs with the land” – meaning it is perpetual and remains in place when the property is sold. It’s important to note- easements are not the same thing as historic designation. Easements are an additional tool a property owner may elect to use to protect a building, and each easement is negotiated on a case-by-case basis. Easements are never automatically placed on any property but are given voluntarily by the owner. Easements cannot be placed on entire historic districts. Historic Denver currently holds 64 easements in the Denver metro area. While Historic Denver is not a regulatory agency and is not involved in design review of local landmarks, we do have an obligation to ensure the general upkeep of these particular easement properties. In order to fulfill the conditions of the easement, Historic Denver conducts annual inspections of our easement properties in order to ensure that they are in good condition and have not been altered. Our experienced staff identifies areas of concern and recommends preservation approaches, materials and contractors for any needed work. If you would like to train to become an easement inspector, please fill out this application form HERE. Inspections are generally conducted biennially, between May and September. Currently the Easement Inspection Internship has been filled for the Summer 2018. The next inspections will occur Summer 2020. Designated historic properties can be eligible for preservation tax credits. These credits can significantly reduce the cost of restoration and rehabilitation. A 20% federal tax credit is available to commercial properties listed on the National Register of Historic Places. A 20-25% Colorado state tax credit is available to both income-producing and residential property-owners of properties listed on either the National Register of Historic Places, State Register of Historic Places or locally designated through a Certified Local Government, like the City of Denver. Buildings that contribute to a historic district are also eligible. On Wednesday, May 14, 2014 Governor John Hickenlooper signed HB-1311, the Colorado Job Creation & Main Street Revitalization Act at a meeting of economic development organizations in Pueblo. Historic Denver advocated for this legislation along with our preservation partners, History Colorado, Colorado Preservation, Inc., the National Trust for Historic Preservation and Downtown Colorado, Inc.
View details on the new COMMERCIAL credit. View details on the new RESIDENTIAL credit. Co-sponsored in the House by Representatives Leroy Garcia and Tim Dore and in the Senate by Senators Pat Steadman and Larry Crowder, the bill improves Colorado’s existing state tax credit by increasing the project cap from $50,000 to $1 million for commercial projects and by making the commercial credits transferable. Fewer changes were made to the way the tax credit applies to single-family homes, although it can now be “re-used” more than once per property, which makes long-term stewardship more viable. To be eligible to use the credits, a building must be locally designated or listed on either the State Register or National Register of Historic Places. The State Historical Fund (SHF) is a unique program of the Colorado Historical Society that funds a wide range of preservation projects across the State of Colorado, including restoration construction efforts. SHF grant funds are generated from the state tax revenues produced by gaming in the historic mining towns of Black Hawk, Central City and Cripple Creek. Since grant applicants to the SHF must be either a non-profit organization or public entity, and the proposed project must be able to demonstrate a public benefit, SHF grants are not a good option for the restoration of a private residence. Private owners of buildings open to the public or otherwise offering a public benefit may apply for a grant with the sponsorship of an eligible non-profit. Historic Denver has successfully applied for and managed dozens of SHF grants on behalf of private and non-profit owners. Please visit the State Historical Fund’s website to learn more about the available grant types, application process and grant regulations. To learn about how Historic Denver may be able to apply for and/or manage a grant on behalf of your organization, please contact our Director of Preservation Programs, John Olson by phone at 303-534-5288 ext. 4 or by email at jolson@historicdenver.org. The National Trust for Historic Preservation has several other ideas for funding a range of project types for different types of owners. Visit their website to learn more. Historic Denver currently does not offer direct assistance in funding preservation projects. Is your building a local landmark or located in a historic district? We’ve created a Historic Designation FAQ guide, which answers many of the questions we commonly receive from property owners. You can also visit the City of Denver’s Landmark Preservation website to search for designated properties, read about design review for designated properties, and find pertinent application forms. The city of Denver’s Preservation Ordinance was created in 1967, just a year after the watershed passage of the National Historic Preservation Act. The ordinance is a framework that supports Denver’s historic districts and individual landmarks, and specifically outlines provisions related to historic designation, design review and demolition review. It is an important to note that these functions are managed by the City & County of Denver, its Landmark Preservation Committee, and the Denver City Council. There are 52 local historic districts in Denver and over 300 individually landmarked properties. Landmark designation is a great tool for preserving the historic fabric of Denver’s neighborhoods while encouraging thoughtful and sympathetic improvements and additions. Navigating the ins and outs of what designation means for your property, however, can seem like a daunting task. Below we’ve compiled a number of questions we frequently receive about designation to highlight the benefits of landmark designation and to shed light on the many misconceptions surrounding the process. The City of Denver’s Landmark Preservation Commission also has a list of Frequently Asked Questions. Please note: Historic Denver, Inc is a private, non-profit organization that provides ideas and actions for Denver’s historic places. We do not manage the city’s designation programs. The Landmark Preservation Commission is the formal city agency responsible for designation and design review. To contact the Landmark Commission, please visit their website or call them at (720) 865-2709. Historic Denver has produced a series of videos to capture information presented in four homeowner education workshops. Owning a historic building, whether it’s your home, your business or an investment property, requires care and commitment. There are a variety and resources, tools and incentives designed to make caring for your property a little easier. Click the links below to view the videos or slideshows. The city of Denver is sending out inspectors to review the condition of sidewalks in central Denver. If any portion of your sidewalk is lifted more than ¾” from one slab to the adjacent slab, this is considered a “tripping hazard” and the stones need to be re-leveled. If a slab of stone is shattered into several pieces, it is deemed beyond repair and the slab will need to be replaced. Learn more about flagstone repair methods, replacing flagstone, tree considerations, and city permits and licenses. For members of Historic Denver, we provide our comprehensive referral list of qualified and preservation-minded contractors, trade and craftspeople for all of your historic home’s repair, maintenance and renovation projects. Our list was recently updated and is readily available as a pdf or in hard copy. If you are currently a supporter, please call (303) 534-5288 ext. 6, or email sschaefer@historicdenver.org for your copy of the list. Not a member? Become a member today one today to gain access to this valuable resource! If you are a contractor and would like to be added to the list, please fill out our form. The Annual Realtor Seminar will be held on December 4, 2018. You can earn 3 continuing education credits by completing this half-day seminar! Register here today! Class material covered includes architectural styles in Colorado, Denver’s historic neighborhoods, living in a historic district/home, financial incentives for historic properties, general maintenance for older homes and researching historic properties. If you have already attended our Continuing Education class entitled, “Understanding and Selling Denver’s Historic Homes and Neighborhoods,” please find below additional helpful information. These listed Real Estate Professionals are uniquely suited to help you find the historic property you’ve always dreamed of, or successfully market your older home. The training these brokers have received from Historic Denver, Inc. is invaluable in educating and advising clients about the joys of owning and maintaining older homes. The following brokers completed certification in December 2015, 2016, or 2017: View List of Brokers. 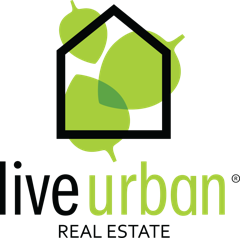 Our 2018 Annual Realtor Seminar is sponsored by Live Urban Real Estate. Overview of Historic Denver, Inc. 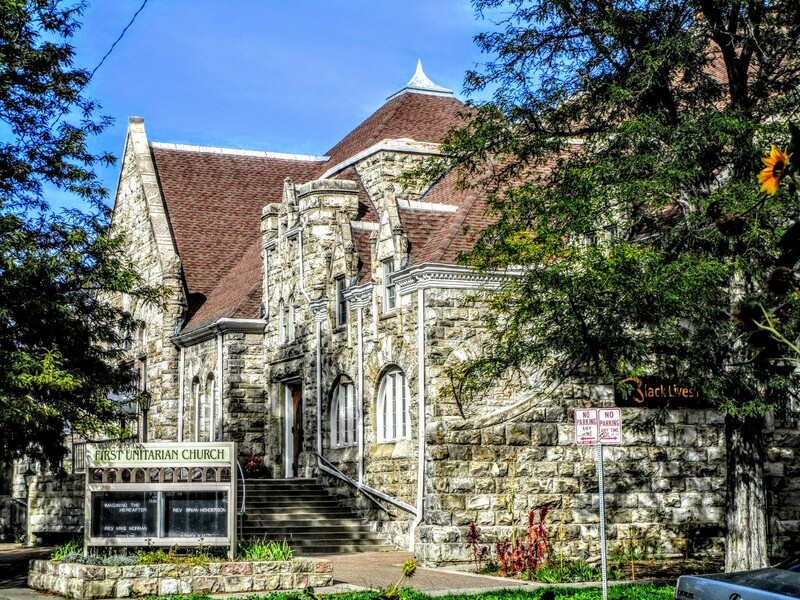 Historic Denver’s Sacred Landmarks program provides technical assistance to historic community landmarks, such as churches and synagogues. Since its inception in 2000, the program has aided in the protection and preservation of more than 50 historic sacred landmarks across the Denver metro area. The Sacred Landmarks program provides residents and community leaders with the tools necessary to be good stewards of their historic resources. This in turn ensures that these landmarks continue to serve as centers of community life for generations to come. This is particularly important as sacred landmarks typically serve a community much larger than their own congregation, hosting nonprofit agencies or community groups, and providing critical social services. Through the program, we conduct research to determine the maintenance and renovation/repair costs of the historic sacred building; we strive to strengthen and maintain public education about the importance of sacred places by offering community-centered services; and we provide technical assistance to inner-city congregations and their pastors to help them accurately assess the enormous value of their physical and human resources, as well as identify funding sources and secure grants for restoration and rehabilitation — most often from the Colorado State Historical Fund. Historic Denver’s Sacred Landmarks team is currently managing grant-funded projects at First Unitarian Church and the Althea Center in Capitol Hill, Trinity United Methodist in downtown, North Highland Presbyterian in West Highlands, and People’s Presbyterian in the North City Park/Skyland neighborhood. Past project include work at the former Temple Emanuel in Uptown, Central Presbyterian in downtown, 430 Years of Church in Christ in Five Points, and Four Winds American Indian Council in Baker. Does your historic place of worship need help? You’re invited to contact us for help and information. Built in the 1890s, this property at 1400 N. Lafayette St. in Denver’s Capitol Hill/Cheesman Park neighborhood is a prime and unique example of construction using locally sourced rhyolite in the Richardsonian Romanesque style. It was designated a Denver landmark in 2016. This project will rehabilitate the masonry of all four facades of the church, and includes cleaning and re-pointing exterior stone masonry. It is funded, in part, by History Colorado’s State Historical Fund, in partnership with Historic Denver. Team meeting to review the progress of the masonry restoration. Photo by Shannon Schaefer Stage. The building houses the oldest Unitarian congregation in Colorado. It was founded in 1871 – five years before Colorado statehood. During its first two and a half years, the congregation used seven different assembly venues, largely due to the controversial social action work undertaken by its members. The Unitarians often made news for bold moves like utilizing female ushers, teaching vocational skills to girls, educating boys who worked during the day and, later, advocating for reform against the imprisonment of children. In 1958, First Unitarian Society of Denver purchased the building at 1400 N. Lafayette St. from the first owner, Plymouth Congregational Church. First Unitarian has been the proud steward of the building since, and has exhibited significant community and social justice work since its founding. 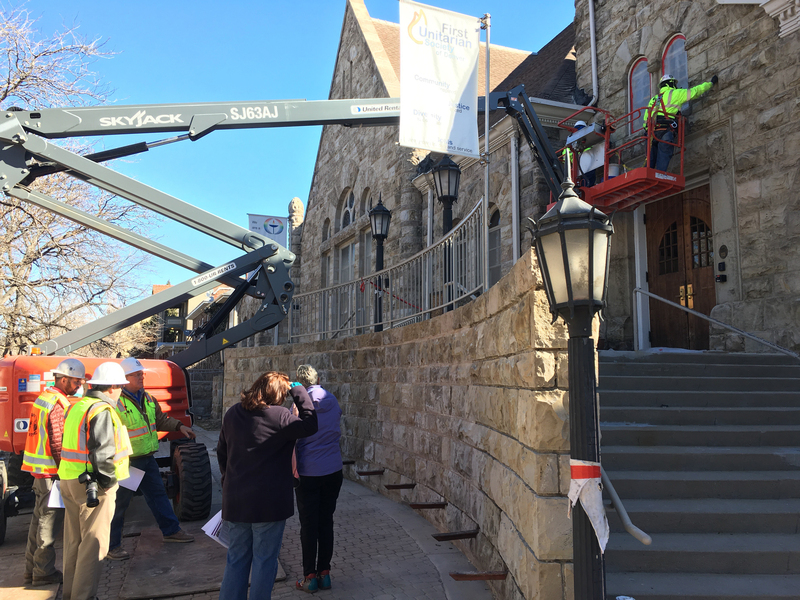 This important rehabilitation work will propel plans to engage the public, its membership, and numerous partner groups in the powerful story of the church and its building. First Unitarian is committed to maintaining its presence at this location as an “urban sanctuary in the heart of Denver.” Now as in the past, First Unitarian is active and influential in social justice issues of race, gay and lesbian rights, marriage equality, women’s rights, and immigration rights.